Marc Lynch speaks with Carter Malkasian about the recent history of conflict in Iraq and how it it laid the foundation for the Islamic State to flourish. 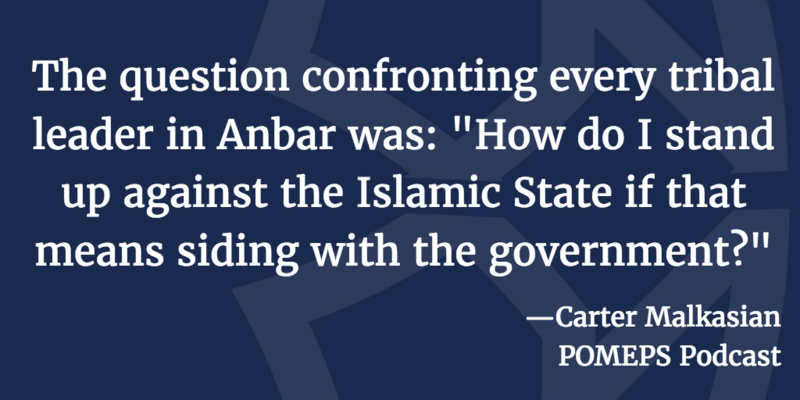 His new book is Illusions of Victory: The Anbar Awakening and the Rise of the Islamic State. Malkasian leads the Stability and Development Program at the Center for Naval Analyses (CNA) at the U.S. Army War College. He spent over five years working as a civilian with the State Department and U.S. military in Iraq and Afghanistan.